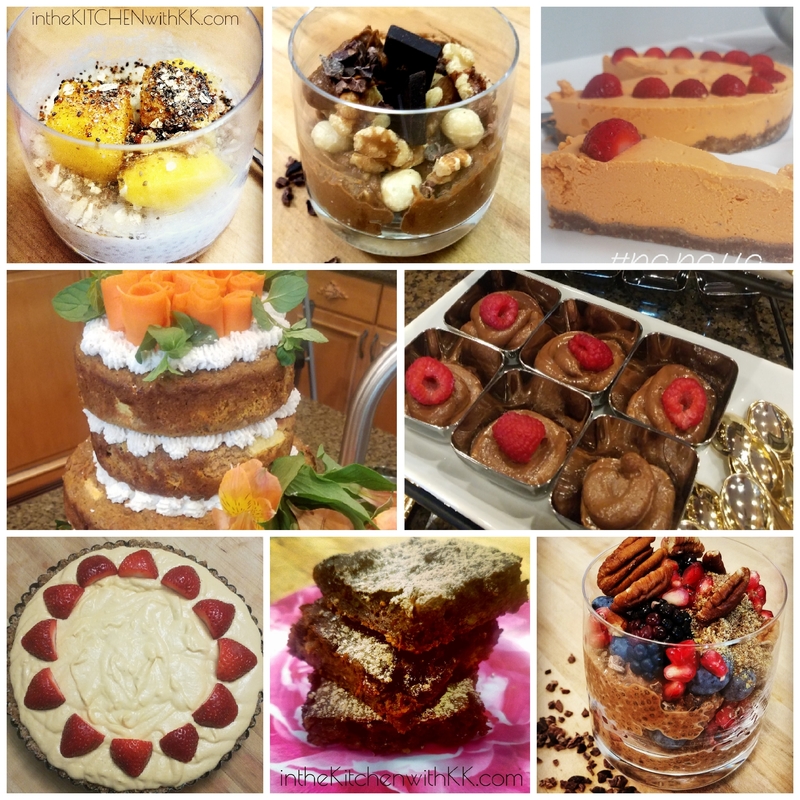 Cooking Camp with Personalized Instruction & Tastings.Feel Satisfied and put an End to Binge Cravings with no Guilt Delicious Desserts - Vegan, Low Glycemic, Absolutely Mouth Watering & healthy for both Your brain and Body!! Organic Fruit "cheesecakes"; Double Chocolate Lava Brownies, Moist Delicious Chocolate Banana Bread, Creamy Tapioca Pudding, Gluten Free Carrot Cake with Coconut Cream. the Cost is $55 includes all dessert samplings and your own mini Cheesecake . Maximum class is 10 people.